We called Andaman Nikobar a Group of islands. It covers a total area of 8,073 sq. kilometers. Andaman and Nicobar Islands are a union territory of the republic of India. Explore the untouched reefs and white sand beaches of this island with the best Andaman Nikobar tour package. This tour makes sure that you are at your most loved destination. You can also select to visit to Neil and its exotic beaches. Andaman Nicobar Tour will take you to the first-rated attraction in Andaman Islands. If you love adventure sports, sightseeing and spending time soothing by the beach, this best holiday destination is perfect. The place is a shelter of activity and fun, there is plenty to do and see. Initially inhabited by numerous groups of indigenous tribes, this amazing group of island was later used as a penal colony during the British occupation of India. 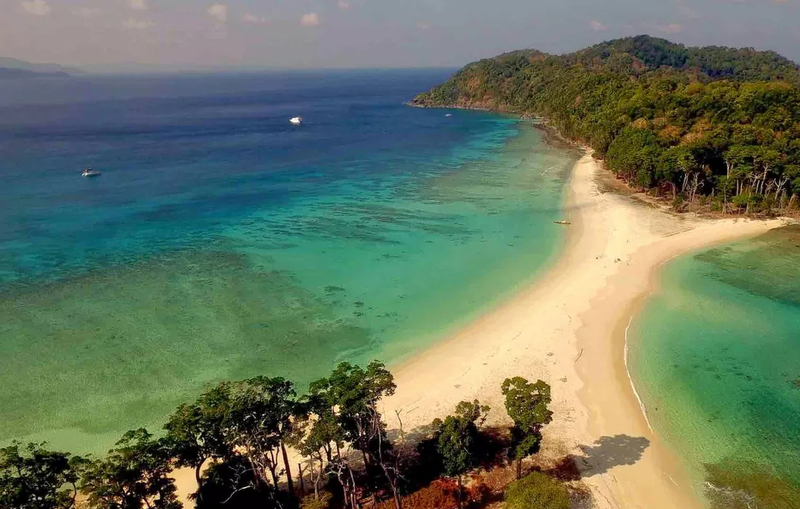 Despite of the nasty reputation during the colonial period, the Andaman and Nicobar Islands these days are one of the most sought after tourist destination of India. The islands are famed for its serene, white sandy beaches characterized by sparkling blue waters. Run away to the most astonishing island in the Andaman Archipelago, Havelock Island.